Who is a “dependent”? Well, as my mom would say, “Look it up.” One problem is that the dictionary, HIPAA, the Internal Revenue Code, the insurance certificates, and the Summary Plan Description all have different definitions. In addition, surprisingly, the Patient Protection and Affordable Care Act (PPACA) does not even define dependent. Still, ALEs must offer these dependents coverage by 2016 to avoid a potential penalty. So, we must piece together the definition of dependents along with the best solution for employers facing potential penalties. 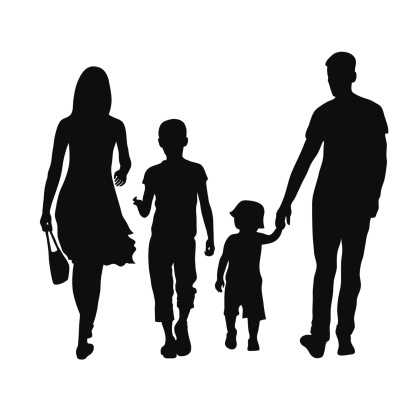 Traditionally, people think of dependents as including spouses, children, stepchildren, adopted children, and, perhaps, even grandchildren and foster children. For some purposes, like taxes, this is true. For play or pay purposes, however, this is not the case. The final regulations provided some parameters of who constitutes a dependent. First of all, regarding dependent children, coverage must be extended through the month in which the child attains 26 years of age. Second, stepchildren and foster children are excluded from dependent. Also, children who are not U.S. citizens or nationals are excluded from the definition of dependent, unless the child is a resident of Mexico, or Canada, or is within the adopted child exception under the Internal Revenue Code. Further, consistent with the proposed regulations, the final regulations exclude spouses from dependent. Why does an ALE’s definition of dependent matter? Money. Specifically, the final regulations removed “spouse” from the definition of dependent. Many employers include spouses as a dependent, regardless of employer contribution. Even if an employer does not contribute to an employee’s dependent coverage, dependents affect the rates. From an actuary perspective, spouses incur more claims than the employee. More claims cost more money. Special Enrollment Periods Pursuant to HIPAA. The Health Insurance Portability and Accountability Act of 1996 (HIPAA) defines “dependent” as “any individual who is or may become eligible for coverage under the terms of a group health plan because of a relationship to a participant,” clarifying that the plan’s terms determine which individuals are eligible as a dependent under the plan. Being aware of how the plan defines dependent is important. For example, if an employee has a new dependent as a result of marriage, birth, adoption, or placement for adoption, then the employee and (all) dependents may be able to enroll in the plan, provided the employee is eligible. This includes adding the stepchildren and spouse if either is a dependent by plan document or summary plan description (SPD) definition. More dependents mean more people utilizing the benefits, resulting in more claims. Dependent’s Dependents. Some policies do provide coverage for dependent’s dependents. However, PPACA does not require plans, or carriers, to make coverage available for a child of a dependent child. The relief is not available to the extent the employer offered dependent coverage during the 2013 and/or 2014 plan year(s) and chose to drop dependent coverage subsequently. The relief extends only with respect to dependents who were without an offer of coverage in both the 2013 and 2014 plan years. The relief is available only if the employer takes steps during the 2014, 2015, or both plan years to extend coverage to dependents not offered coverage in the respective plan years. What should ALEs do? First, ALEs should refer to the plan documents and summary plan descriptions to determine who is a dependent under the plan. Second, ALEs might consider modifying the plan’s definition of dependent to remove spouses and/or stepchildren and/or foster children, keeping in mind the counter-arguments for expanded dependent coverage -- mainly, retention and recruitment. Finally, ALEs trying to avoid the potential penalty should begin taking steps this year and next year to extend coverage to dependents currently not covered.